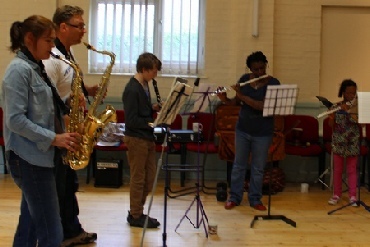 Following two successful “Jazz Workshops” in 2013 (more photos), we have now planning started a “Jazz Orchestra”. 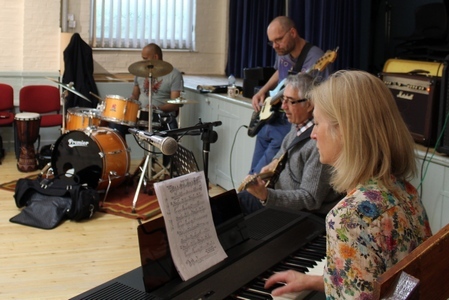 We are hoping this will be of interest to people from the Newmarket area and other towns in the Suffolk and Cambridgeshire area..
We have had people playing saxophone, clarinet, flute, drums, percussion, bass, guitar and keyboards ……but there is no limit to the instruments or number of players. Please let us know if you are interested in any way. You needn’t answer any specific questions but we would like at least your name and one way of contacting you (phone/mobile/.email).